Trial Bulletins are documents aimed at interpreting the results of the trials for gardeners. They have been discontinued and have been superseded by RHS Grower Guides. RHS Grower Guides aim to interpret the trial results in a handy, accessible format and include cultivation advice as well as a supplier list. We are currently producing a series of RHS Grower Guides, containing details of all AGM-winning species and cultivars of a range of plant. 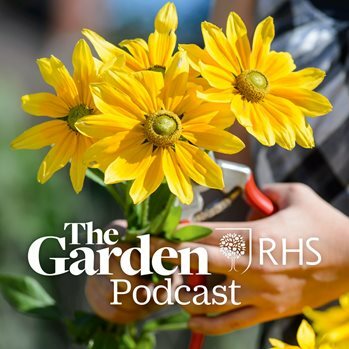 These guides also serve to highlight the important role of plant trials in the work of the RHS to better inform and give confidence to gardeners about the plants they purchase. The euphorbia guide can be viewed online above, or downloaded and viewed offline. To access trials reports please go to the RHS Plant Trials Database. Although they are now being superceded by Grower Guides, bulletins are still available either to download (see list below) or in printed format from the Wisley Plant Centre or by post - please contact the Trials Office by email or phone 01483 212 440 – donations are requested to cover the cost of printing. The bulletin gives details of 90 AGM award-winning bearded irises. This bulletin follows the completion of a trial of 87 cultivars at RHS Garden Wisley. This bulletin gives details of 22 AGM award-winning cannas. This bulletin gives details on all AGM cultivars and information on their cultivation and origins. This bulletin follows the trial of chilli peppers at RHS Garden Wisley and East Ruston Old Vicarage. This bulletin follows the trial of Clematis alpina and Clematis macropetala at RHS Garden Wisley. This bulletin contains details of the 40 AGM Delphinium cultivars after trials at RHS Garden Wisley. This bulletin contains details of six AGM hardy geraniums and the four AGMs that were reconfirmed. This bulletin contains details of 10 AGM hardy geraniums and the three AGMs that were reconfirmed. Stage 3 features plants with specialised cultivation, including geraniums suitable for rock gardens. The 18 AGM winners are described in full along with details of all plants submitted for trial. This bulletin follows the completion of a trial of 90 sedums at RHS Garden Wisley. This bulletin contains details of the small members of the Hyacinthaceae family in the trial. This bulletin follows the completion of the trial of Hydrangea paniculata at RHS Garden Wisley. This bulletin covers 60 different Miscanthus with more detail on 16 cultivars of Miscanthus sinensis. There are 13 different classification groups for dahlias - only those with open centres (single-flowered, collerette, miscellaneous and single orchid) are featured in this publication. This bulletin follows the trial of 11 Perovskia at RHS Garden Wisley. One aim of this small trial was to sort out the correct identity of individual cultivars. This plant assessment contains details of the AGM cultivars together with a further 42 cultivars. This bulletin contains details of the recent long-term trial and full information on the 28 entries. This bulletin follows the completion of a trial of 48 runner beans at RHS Garden Wisley. This bulletin contains details of the 10 salad potato cultivars that have been awarded an AGM. A report on the RHS trial 1996–2001 with details of the trial objectives, awards recommended and descriptions of almost 100 cultivars. This bulletin contains details of the 15 silver saxifrages that have been awarded an AGM. Spiraea japonica cultivars with coloured leaves are useful garden shrubs; see the 18 trialled. This bulletin provides details of the trial plus the 16 cultivars that received an AGM.